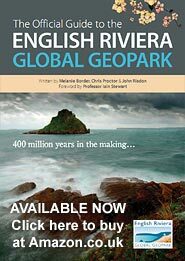 Welcome to the English Riviera UNESCO Global Geopark - One of Earth's Extraordinary Places! A beautiful landscape of dramatic changes, of exploration, discovery and fun. UNESCO Global Geoparks share the story of our Planet. A Geopark is an area of globally recognised, unique geological interest designated by UNESCO. A place where you can touch a very special part of the Earth's story and be amazed by the extraordinary landscapes, mountains, coastlines, places and people. The English Riviera UNESCO Global Geopark are honoured to announce the launch of a new partnership with South Devon College. 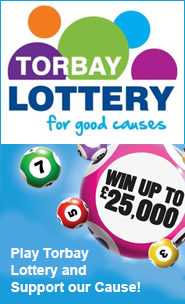 Over the weekend of 8-9 June 2019, Torbay Amateur Radio Society (TARS) will be joining radio stations from around the world to exchange greetings with GB6GEO over the airwaves. During the special communications weekend, the English Riviera UNSECO Global Geopark special event station will transmit live from Kent’s Cavern. Using a special event call sign GB6GEO, TARS will establish contact with other radio stations around Britain, Europe and the World. The Artizan Gallery is a small independent fine art gallery dedicated to championing the work of local artists in the South West. For the second time in 2018, the gallery were able to secure space in the heart of Torquay’s town centre for their festive pop-up event the Artizan Winter Open. Join us at 12pm where pupils from White Rock Primary School will be at Cockington Court with The Junkman for a one hour worldwide celebration of Mother Earth. 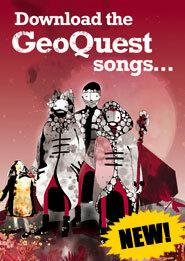 We will be linking up with other UNESCO Global Geopark locations from around the world. Click to read more. Korean university students visit English Riviera UNESCO Global Geopark to learn about Geotourism and Devon’s outstanding geological heritage. Prize winning students from Korea visited the English Riviera UNESCO Global Geopark for a research visit during July. Geopark Festival 2018 - International Reach. Torbay’s UNESCO Geopark reached out to the Bay’s international visitors by adding a welcome message in nine different languages on the 2018 Geopark festival leaflet. To kick start the 10th Geopark Festival celebrations the English Riviera UNESCO Global Geopark is delighted to launch the Earth Echoes film. This film documents the development of the incredible community-led opening ceremony of the 7th International Conference on UNESCO Global Geoparks held at the RICC in September 2016. 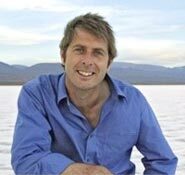 Television's favourite geologist Prof. Iain Stewart is patron of the English Riviera Geopark. Iain is the presenter of Journeys from the Centre of the Earth, the award winning BBC series Earth - The Power of the Planet and his current BBC series How Earth Made Us.